Bharati Vidyapeeth (Deemed to be University) Dental College and Hospital, Pune was established in 1989, for growing demand of education in Dentistry. The college is housed in a building having an area of 1,32,308 sq ft. The institute has a well-planned architecture providing quality education to graduates and professionals. The graduates from this institute set an own benchmark in india as well as abroad also. The Dental College and Hospital, Pune is the pioneering institute in india having progressive and pragmatic environment developed by highly qualified and experienced teaching staff with modern teaching methods. 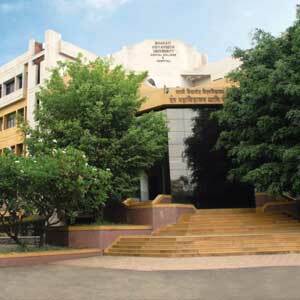 The College is provided with well-equipped laboratories along with modern equipments and material. Dr. Rajesh Kshirsagar, being the principal of Bharati Vidyapeeth (Deemed to be University) Dental College and Hospital, Pune strives for academic excellence of each and every student. Regular education programs are conducted to keep faculty and the students updated with latest technology. Dental College has advance equipments and resources to cater the need of patients on routine basis. Training is provided to staff and students for acquiring ongoing modifications, researches and innovations. The students can get opportunities to work in abroad countries with attractive salary package. Candidates must score minimum of marks 50 percentile in NEET for general category students and will have to satisfy eligibility norms as prescribed by DCI (Dental Council of India). Candidates must score minimum of marks 40 percentile in NEET for SC/ST category students and will have to satisfy eligibility norms as prescribed by DCI (Dental Council of India). Candidates should register themselves on the DMER portal for applying NEET entrance test. The candidate have to fill the application form along with application fee of Rs.500/- as mentioned on above website. The candidates should bring all the required documents at the time of admission process. The absence of candidate results into the cancellation of the claim for admission. Separate hostels are available for Boys and Girls within the campus. 24 hours uninterrupted power supply. Facilities for indoor and outdoor games like table tennis, badminton, football, basketball, Volleyball, Lawn Tennis, Cricket, Hockey etc. 24x7 medical assistance is provided to students. Adequate ventilation and lighting facilities.